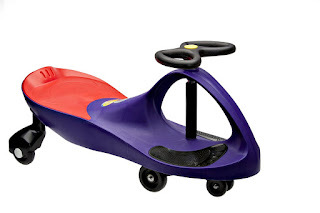 Today (11/15) - Save 40% on Select PlasmaCar Ride-On Toys $41.99 Shipped (Retail $69.99). -No Gears , Batteries or Pedals. Just Steer and Away you Go. -Great Exercise Inside or outdoors. -The PlasmaCar is meant to be used on a smooth, flat, hard surface and will not function properly on carpet, grass, gravel, sand or any surface with "give". The lowest I've seen on these is typically around $39.99.